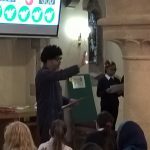 We run annually two interactive events called Christmas Cracked and Easter Cracked, where local pupils come to our church and learn about the birth and resurrection of Jesus. 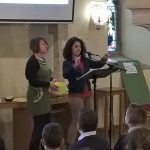 Volunteers tell the story of Jesus, have quizzes and help with crafts, and at Easter we give a chocolate egg to everyone! 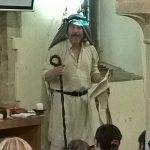 Our Vicar Andy plays many parts including a shepherd, a Roman soldier and a mad professor. 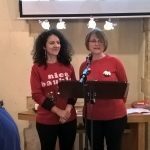 The scheme is the idea of the Bridgebuilders Trust who provide the resources.